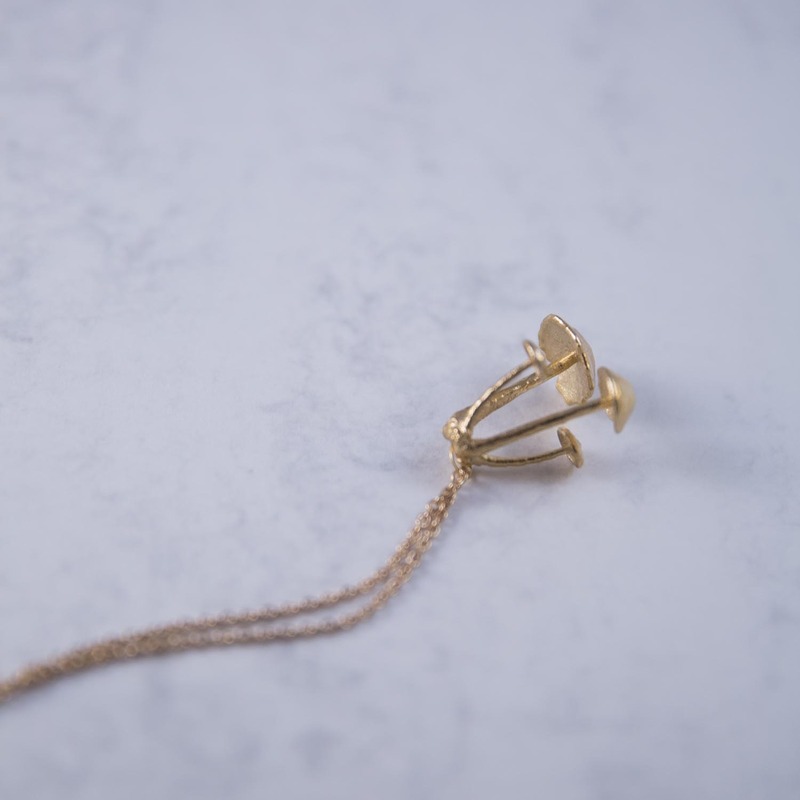 This chic & modern 3d printed piece can be worn both as a pendant or charm. Its design is firmly anchored in biological inspirations. As a real-world mushroom scan, this model is a perfect addition to an everyday outfit as well as it’s a great way to add a personal touch to any special occasion look (evening/wedding or formal). This combination of modern technology and nature inspiration certainly will showcase your unique, individual style. The product is sold without a chain. 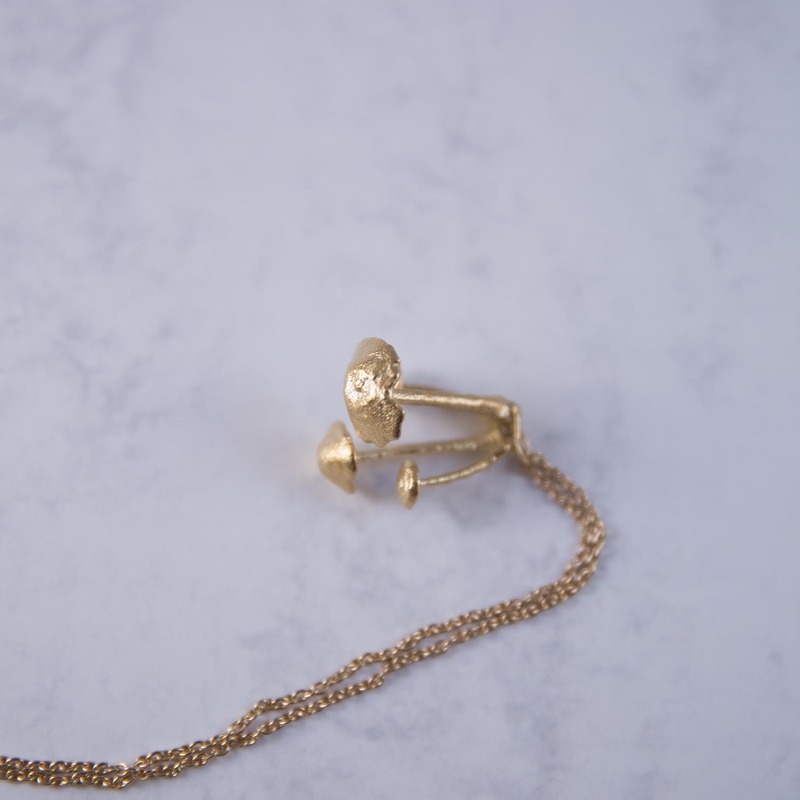 The customer will receive a charm with a small ring that allows attachment to eg. necklace, bracelet, hoop rings etc. This piece is made on order, therefore manufacturing time may take up to 15 working days (starting from the day of payment receiving). 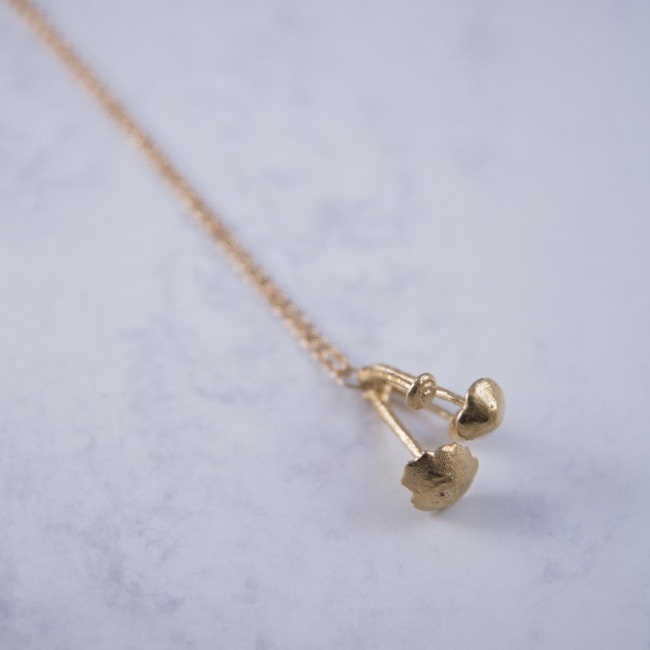 Each charm can be made in other metals: brass, steel, copper. In addition, each metal can be finished differently: matt, semi-gloss, gloss. Change of the material, however, involves a price change. For further details feel free to contact the shop directly. Each product can be made in other metals: brass, steel, copper. In addition, each metal can be finished differently: matt, semi-gloss, gloss. Change of the material, however, involves a price change. For further details feel free to contact the shop directly. Produkt może być wykonany także z innych metali (mosiądz, stal i miedź) oraz wykończony w odmienny sposób (mat, półmat, połysk). Zmiana materiału wiąże się ze zmianą ceny. By uzyskać szczegółowe informacje zapraszam do kontaktu indywidualnego. The product available in any size. Please include information about the size when ordering by filling the field “ORDER NOTES”. Produkt jest dostępny w dowolnym rozmiarze. Proszę uwzględnić informację o rozmiarze przy składaniu zamówienia, wypełniając pole “UWAGI DO ZAMÓWIENIA”.